Through a combination of ongoing insight collection, strategic discovery, and social storytelling, Annie and her team are devoted to helping tomorrow’s brands solve their hardest problems and build relationships with their most important customers. 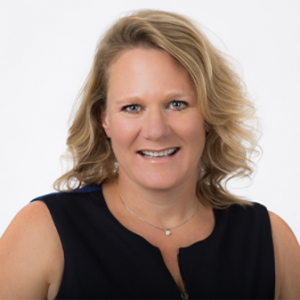 Annie’s past and current clients include Caesars Entertainment, CODA Energy, Green Mountain Energy, Edeniq, Ramblers Way, Sustainable Apparel Coalition, Jackson Family Wines, The Coca-Cola Company, Johnson & Johnson, Tom’s of Maine, and American Express. She was one of the original partners on WPP’s Global Green Brands study, an annual survey that assessed attitudes and buying behaviors of more than 9,000 consumers. Annie led the research for six years and served as a key spokesperson to share the insights. She is a lifetime member of the advisory board of Sustainable Brands, a four time judge of The Hult Prize, and has spoken on green consumer behavior and business responsibility at numerous conferences and events. Annie was named CSR Professional of the Year in 2016 by PR News, has been recognized by TriplePundit as one of the most influential women in CSR, and by the San Francisco Business Times as one of the Bay Area’s Most Influential Women in Business.